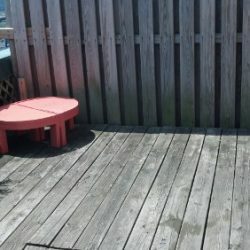 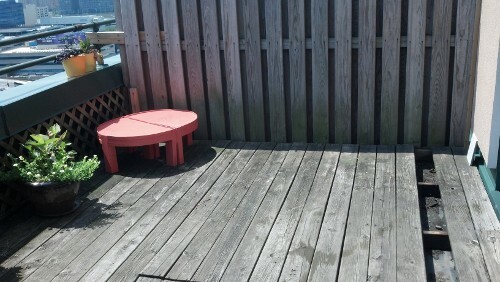 We recently completed a deck project for 2 doctors in a Weehawken, NJ penthouse and wanted to share the details and pictures with you. 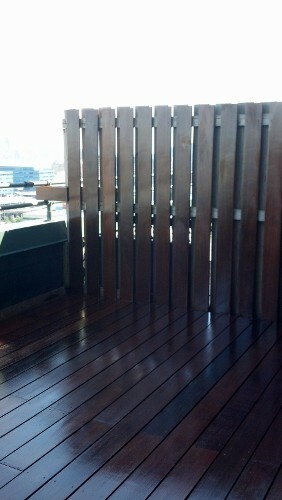 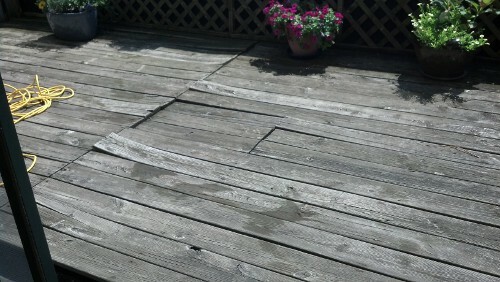 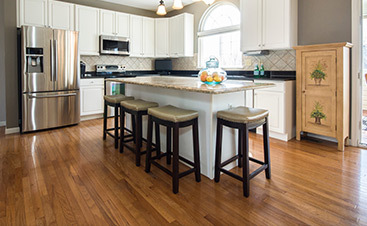 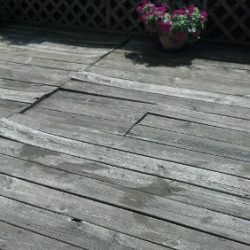 They had an old and beaten pressure-treated pine deck with privacy walls which they wanted fixed and enhanced. 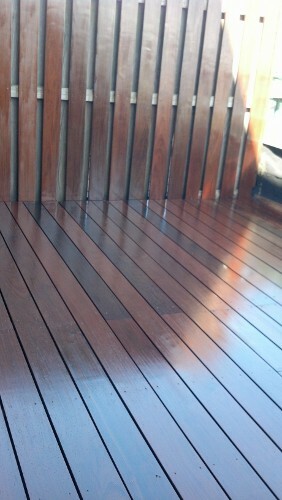 First, we took down the privacy walls and installed a 6″ IPE hardwood deck. 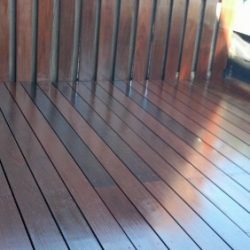 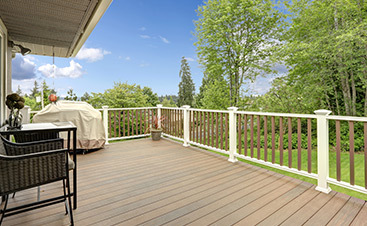 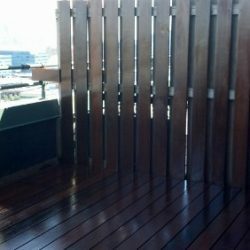 IPE decking is deemed to be the hardest wood on the earth and the most stable decking material you can buy. 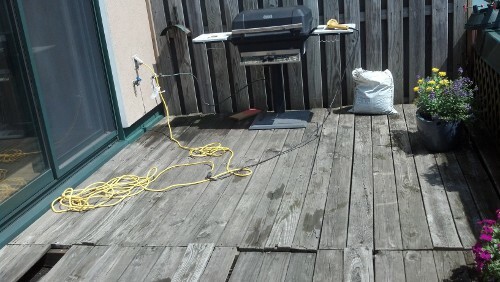 We then proceeded to clean out all debris and soils under the deck and pitched all the support screeds for the flooring to pitch towards the drain to allow for proper water drainage. 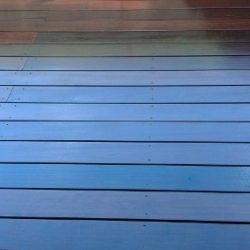 We also sanded the deck and new walls and applied Armstrong Clark hardwood oil stain (Amber coloring).This product has proved itself to be the best product in the industry right now for hardwood decking materials such as IPE and Mahogany. 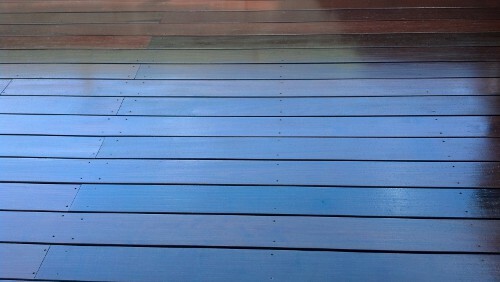 Lastly, we sanded and stained all their flooring and stairs inside. 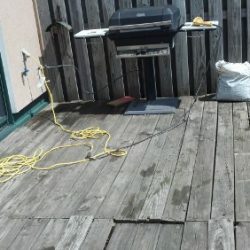 Below are before and after pictures. 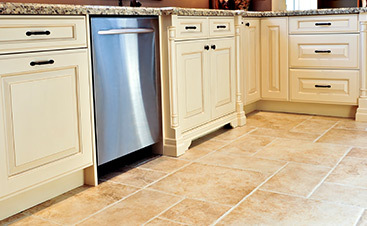 If there’s anything we can help you with, please contact us.